The third in a series of commissioned portraits produced as a surprise Christmas present by one of the owners for his wife. 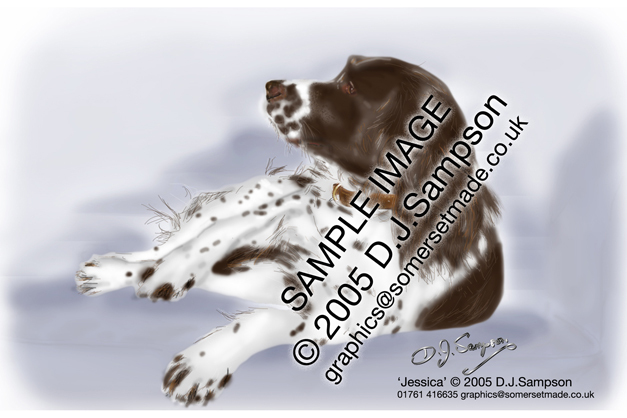 Jessica, known as Jess or simply 'Get Down', is a typical Springer Spaniel, quite mad and fully of boundless energy! I eventually managed to get her to be still long enough to take some reference photos - but only after a long energetic day!